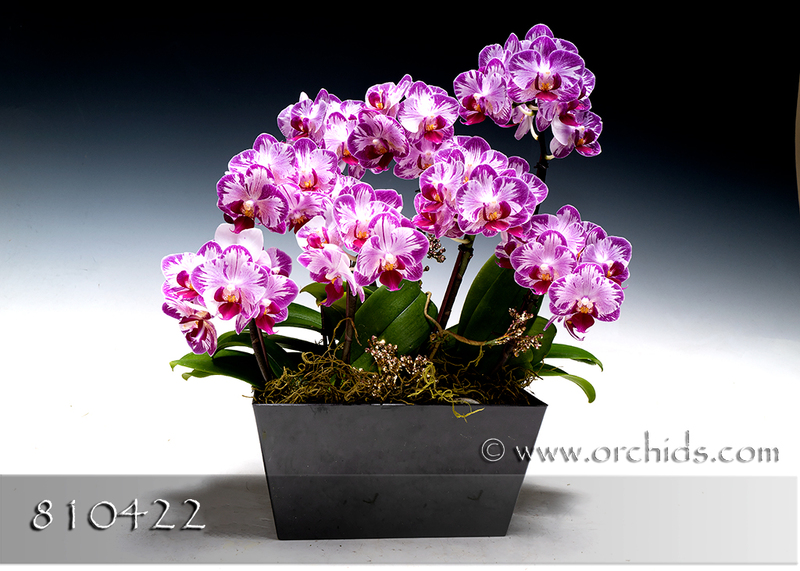 Nothing could be more endearing than this adorable bounty of miniature Phalaenopsis! Standing only 15-16” in height, its small footprint will brighten any corner, desk or small space with its abundant and sunny presentation. Our designers will hand-select the perfect complementary miniatures and artistically arrange them to create their most bountiful presentation. Tucked into our square Euro cachepot, your Bouquet will be softly finished with a bed of fluffy jade Spanish moss. Very Limited.